ADE has initiated a two year project to optimize the Rustom-II composite airframe, an indication perhaps of ADE's confidence in the design of its Medium Altitude Long Endurance (MALE) UAV and the UAV's suitability to the emerging needs of the Armed Forces. The Rustom-II airframe is essentially FRP composite sandwich structure with metallic components. The airframe and its components are primarily made up of Carbon / Epoxy Composites with Acrylic foam as Core material in Sandwich structures with selective use of Glass/ Epoxy Composites. The metallic components are of Sheet metal or Machined. Integration of Airframe modules is carried out using standard fasteners, self plugging rivets and bonding. Redesign of the airframe would be carried out using simulation and structural testing, ensuring weight optimization. ADE recently released a RFI seeking vendor support for creating a team comprising composite airframe design expert, FEM analyst, structural testing expert, structural test rig designer, expert in hand calculation for stressing, based on stress flow weight optimization etc. 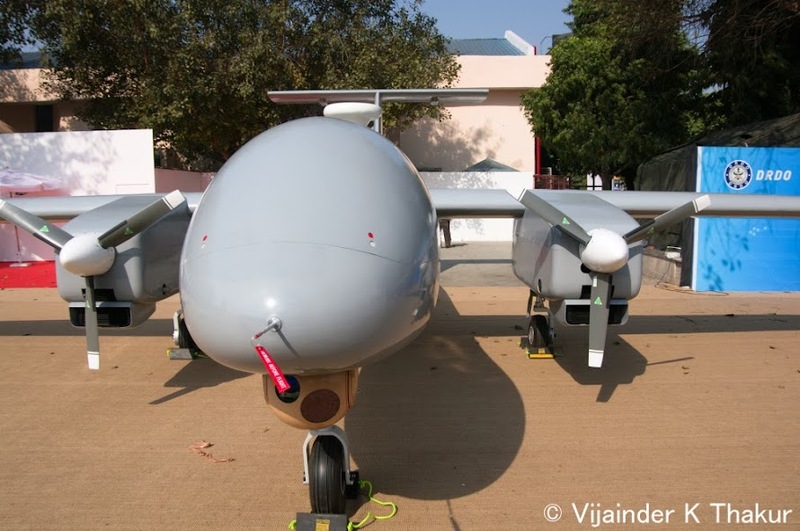 Rustom-II has been undergoing taxi trials and its first flight is expected to take place this year. DRDO aims to get the Rustom-2 certified by 2018. Optimization of the design and generation of structural strength and load data through simulations will be facilitate certification.